Don’t just get ahead, stay ahead. You don’t need a crystal ball to know exactly where and when to invest and stay ahead of the competition. With Esri, you can filter out the data noise to focus on what is truly important. Uncover market drivers and patterns that will help you improve your execution strategy and enjoy success. Find those insights that aren’t always obvious and use that hidden knowledge to your advantage. Understand what is important and what can wait by visualizing all your information together on one platform. Put your money where the map is. Find the right opportunities and profit from wise decisions. 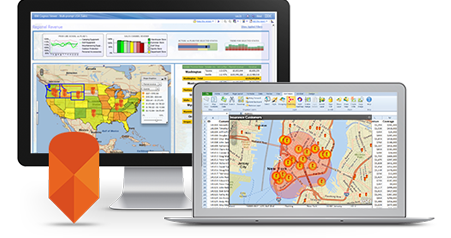 Accurately analyze local rents and revenues so you can invest properly and increase your bottom line. Look no further than this cloud-based platform to provide the catalyst you need to share information inside and outside your organization. Create information that can be easily accessed and shared, and put together professional presentations that will blow your clients away. 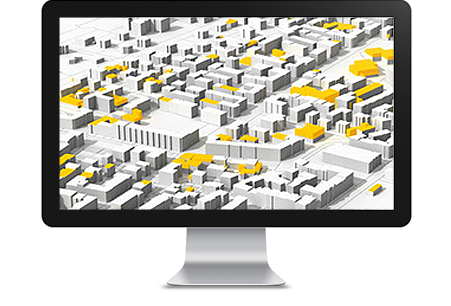 Create realistic 3D views with Esri CityEngine. 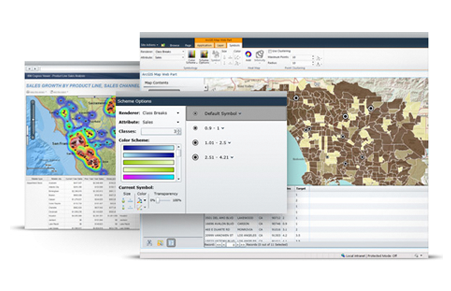 Generate and distribute information easily via the ArcGIS Online cloud environment. Provide the ability for everyone to freely explore places and model proposed buildings without ever leaving the office.